This programme can't start because api-ms-win-crt-runtime-l1-1-0.dll is missing. Try to reinstall this. When I try to open an Microsoft Office file. The default solution is to install KB2999226 of Microsoft. You can't install Microsoft Visual C++ 2015 redist (runtime) unless you have Windows Update KB2999226 installed (at least on Windows 7 64-bit SP1). Recursively update Windows 7 until it shows no more updates, using Windows Update check option in Windows 7. Then download and install Visual C++ Redistributable vc_redist.x64.exe from the Windows website. Then try to run Apache server. This error is usually caused by the missing Visual C++ Redistributable file, which is a required dependency for most of the application on Windows Computer. Download Visual C++ Redistributable from here and install it. After installing this, Reboot the system. Of course, make sure they exist first and that they contain the DLL files needed. If they don't exist, try installing "Windows Universal CRT SDK" from the Visual Studio 2015 or Visual Studio 2017 installer. if anybody unable to update windows online, I suggest you go to http://download.wsusoffline.net/ and download Most recent version. 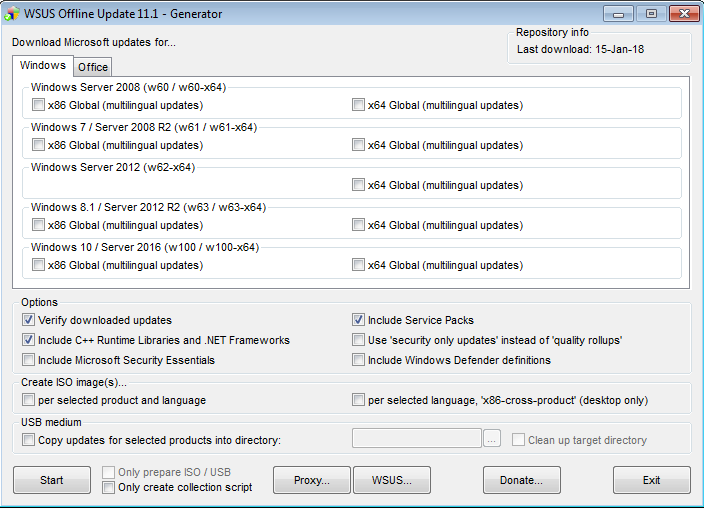 Then install update generator -> select your operating system. and hit START, just wait few minutes let him download updates and complete all it's process. hope this help. How many Visual C++ Redistributables do I need to get this application to run? How to start Mongo DB server from Windows? Compiling Microsoft CRT 11 (msvcrt110.dll) - What is the correct order of includes?